A plastic-free aisle. It’s a conscious consumers heaven, and a manufacturers hell. 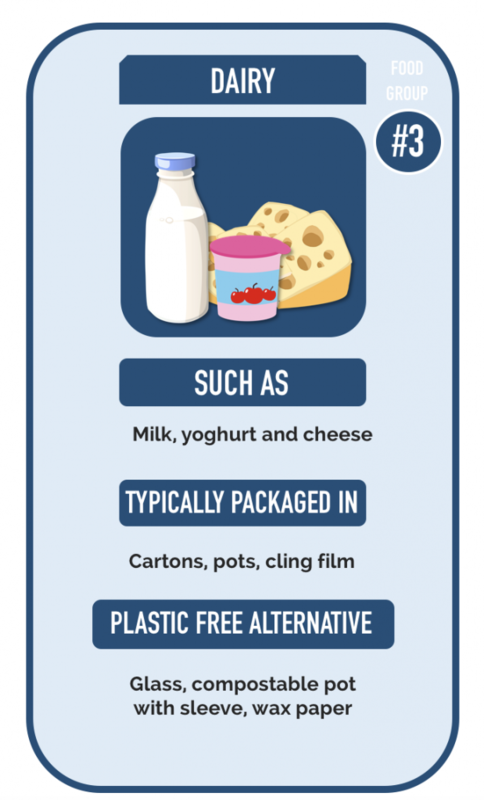 Following its inception in the Netherlands, there was a lot of reports of the launch of the first plastic-free aisle, but not a whole lot of detail on how it had been achieved. 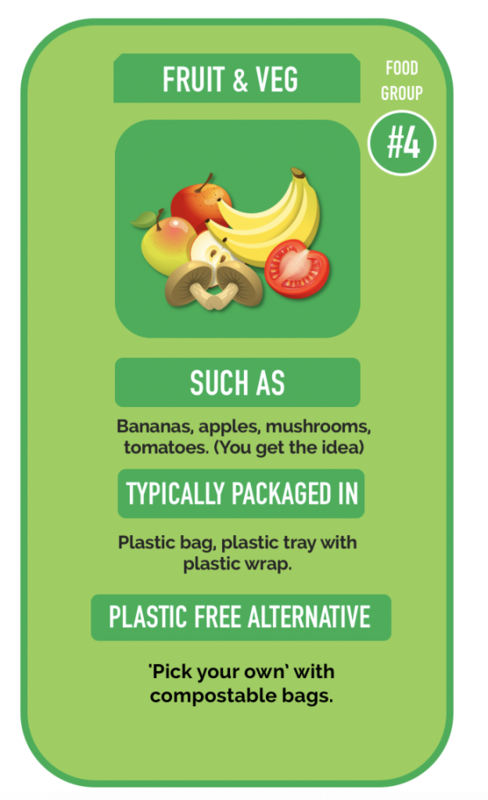 So now that the media storm has settled, we’ve scoured the internet to bring you the PPP Guide to a Plastic Free Aisle – Top Trump Style. (Not that Trump, though). If you cast your mind back all the way to the 28th February, Europe’s first plastic-free aisle was revealed and opened to the public featuring 700 plastic-free products. The plastic-free aisles are part of a supermarket chain called Ekoplaza, and have all your usual products (meat, fruit and veg, chocolate, crisps!) completely plastic free (Guardian, 2018). Ekoplaza optimised the use of ‘biomaterials’ alongside plastic-free alternatives of glass, metal and cardboard (our favourite, obviously). 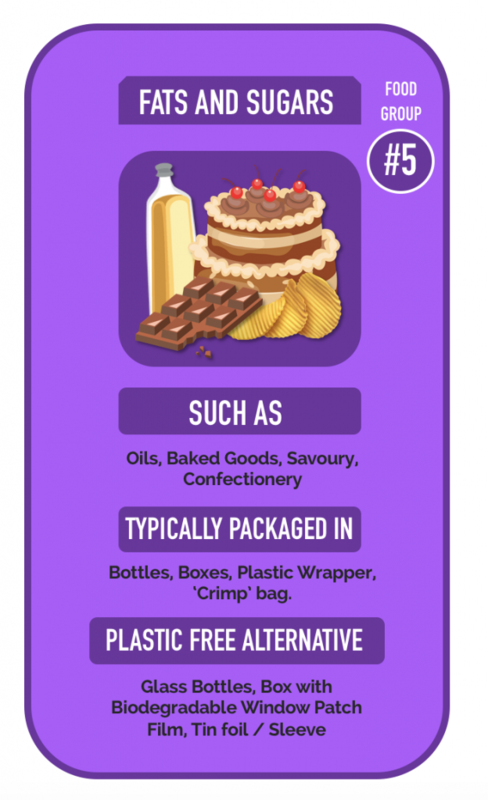 Here at PPP we like to do things properly – so according to the NHS, there are five main food groups: Carbohydrates, Proteins, Dairy, Fruit & Veg and Fats and Sugars and we’re going to suggest the plastic free aisle alternatives for each, based on what the articles are saying, and (gasp) some of our own research and recommendations (none of which are plastic-gobbling microbes). 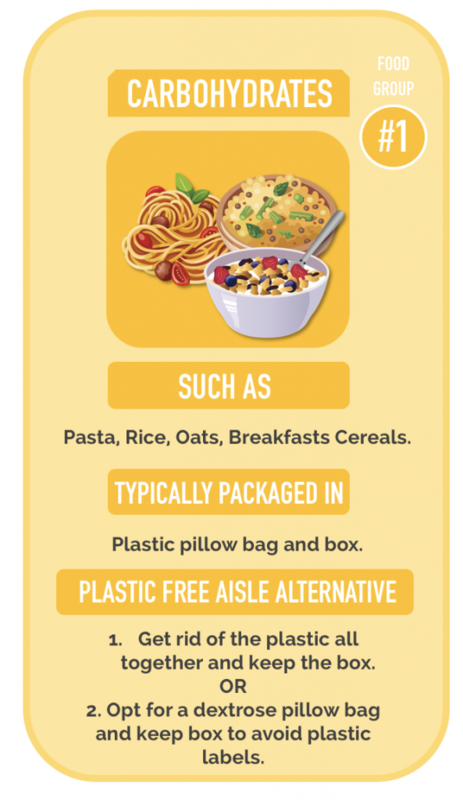 When we took a closer look at this, we couldn’t help but think – why are non-perishables like pasta, cereal and oats wrapped in plastic anyway? These food items won’t go off, so plastic seems like an unnecessary evil. The only argument seems to be that the items are brittle and could turn into delicious carb-y dust if the box they’re in gets bashed about too much. But fear not, for the experts at Ekoplaza have devised a dextrose pillow bag (a sugar that can come from corn or sugar cane) that could protect the precious pasta. Or, you know, we could just pull up our socks, keep it in a box and mind our need to meddle. Probably the biggest plastic packaging conundrum has been the subject of proteins, such as meat and fish. We’ve grown accustomed to vat pack trays and sticky sleeves that are immediately discarded after they’ve served their main purpose to protect and keep the product sterile. But back in the good old days, meat and fish were bought and consumed without any plastic involvement at all. They didn’t even have fridges! So, what are our options here? Well proteins have been packaged in plastic for a long time and for a good reason, so old school isn’t really going to be the first option for supermarkets or their customers. Ekoplaza sourced a compostable tray with the same dextrose film over it – and delightfully, a cardboard sleeve. There isn’t any information on how well this preserves the meat or fish in question, or if it does it as well as its plastic rivals, but maybe we should begin to consider the mutant meat in our fridge that is still ‘fresh’ past its expiry date, or better yet – buy it in when we need it to reduce our food waste. Can you remember why you made the switch from glass bottles of milk dutifully delivered by the neighbourhood milkman right to your doorstep to plastic cartons a driveaway at your local supermarket? We asked around at PPP HQ, and the answers ranged from ‘it was left out in the sun all day and spoiled as we were out at work’ to ‘the kids grew up’ (milk guzzlers, we’re guessing) to ‘it was cheaper to get it in the supermarket’. So maybe a milkman revival isn’t on the horizon just yet, but in the meantime TetraPak has created a ‘fully renewable’ carton – Tetra Rex made from paperboard cartons, with caps derived from sugar cane, used by the likes of Alpro. So that’s the milk sorted. Yoghurt? That’s kind of easy too. Check out the likes of BioPac, who produce plastic-esque tubs made of completely compostable corn starch. Add a compostable sleeve by us for branding, and you’re good to go. As for cheeses? Well sometimes you can find them in the aisles in clingfilm, and sometimes in wax paper. Wax paper would be the obvious choice here, so long as it’s made from a Soybean Wax and not a Paraffin wax, it does not affect the paper’s ability to biodegrade. Also, it’s a real life product available to buy here. You could argue that the plastic packaging discourages food waste as it may keep the fruit or veg fresher for longer, but you could also argue that by providing compostable bags, consumers can just pick what they need, instead of buying 6 onions when they only need 2 – because it’s cheaper. Fruit and Veg shops are not a thing of times gone by, so it’s strange that this plastic problem exists in the first place. With this particular food group, it’s more about a change of mindset. Where supply and demand are concerned, the rest will follow. Ah finally, we’re onto our favourite food group – but perhaps some of the more problematic plastic packaging. At this point we’re going to have to refer back to the Ekoplaza, were the oils remained in glass bottles. Hardly ideal, as only 50% of glass is recycled in the UK at the moment due to contamination sometimes found in bottles that affects their recyclability. Still better than plastic, though. As for chocolate, we’re going to go out on a limb here and recommend good old fashioned aluminium foil with a paper wrapper or carton sleeve box. A good example of this is our oh-so-ethical (she really is) customer Chocolatey Clare, who lovingly wraps her Fairtrade chocolate bars in recyclable paper baked foil and then puts them in our boxes. Plus isn’t there something a little bit Willy Wonka about unwrapping a chocolate bar this way? The golden ticket, of course, reducing the amount of plastic wrappers ending up in landfill or the sea. As for things like baked goods e.g. cakes, that’s no problem a carton board box with biodegradable window patch film can’t solve *cough* like the ones we can produce *cough*. As for crisps, well this has been in the works for a while. The first attempt at a completely compostable bag, by PepsiCo for their Frito-Lay SunChips, failed as consumers complained the packets were ‘too noisy’ (this is why we can’t have nice things) and prompted a viral Facebook group called ‘Sorry But I Can’t Hear You Over This SunChips Bag’. Ouch. So at present time, there is no obvious solution for products like crisps – according to Walkers website they’re still working on it. Walkers is working tirelessly to tackle waste challenges, allocating significant resources and attention to this important issue. We have committed to 100% recyclable, compostable or biodegradable packaging across our product portfolio by 2025, and are collaborating with leaders in this space to bring the latest packaging advances to our products. This begs the question, are the manufacturers the issue or are the consumers? After all, our packaging has evolved because of our ‘hectic’ lifestyles and need for convenience and ease. 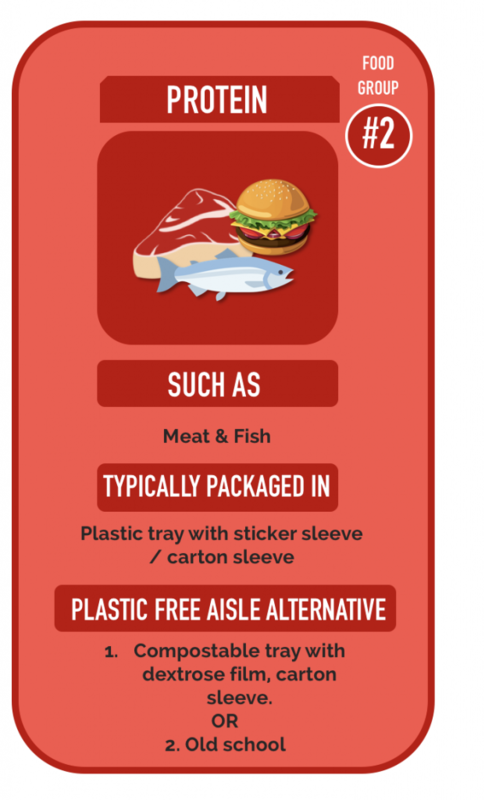 And surely, if it was this easy for the Ekoplaza to create a plastic-free aisle then why isn’t it being adopted worldwide? We want plastic-free aisles and are quick to reprimand supermarkets but we aren’t wholly ready to compromise in order to make the relevant changes. While that’s some food for thought, it is clear that packaging manufacturers (like ourselves) and providers, are eager to offer the solutions that food producers and consumers want / need for not only a plastic-free aisle, but a plastic-free future.